We have all had a few financial regrets. But there is a huge difference between minor impulsive purchases and major financial decisions. 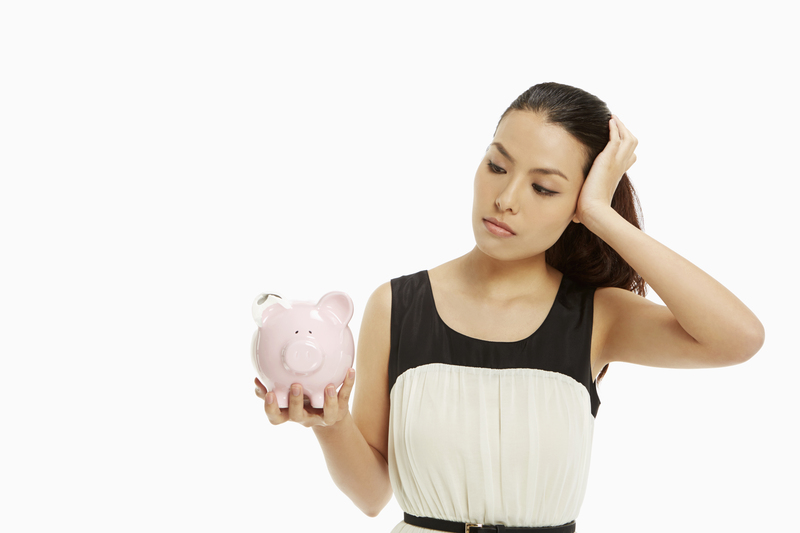 You may easily recover from minor financial setbacks, but a distasteful financial decision can haunt you for life. In this article, we will talk about some of the most consequential mistakes people make with their money. We will also give you some tips to fix these mistakes, or if possible, avoid them altogether. Take a look. If you wish to be wealthy, you need to have clear financial goals. These goals are important because they give you reasons to save and stay motivated. How to set financial goals? All you have to do is categorize them as short-term or long-term. By when do you need the money? If you want to stay financially stable all your life, you should stay off debt. But certain situations compel you to take debt. There’s nothing wrong in taking debt, as long as you are wise enough to maintain a financial discipline. If you have multiple loans, debt management is hard. That is because the high interest rates applied to these loans make it almost impossible to get rid of debt. And you end up being trapped in the vicious cycle of debt. There is a way out, though. Consider debt consolidation. Many banks and online lending platforms offer debt consolidation loans that can make it easy for you to be debt-free. It’s unfortunate that we save the money that is left after spending on what we think is important. That’s a wrong approach for the simple fact that we will never have enough money to put aside at any given point of time. The best way to approach your savings plan is to first put away money in the saving account and then spend it on whatever you need. Take a look at current income and create a saving plan around it. Set aside 10 to 15% of your income, and then spend the rest on your expenses. If you feel the percentage is too high, start low. Do not indulge in frivolous purchases. If you want to buy something, try to save for it in advance. Have a plan in place. If something expensive has caught your eye, do not rush to buy it. Take a week or two to think whether you need it. If you still want it, buy it, but only if you have saved for it. What your monthly expenses are? How much money you can afford to spend? What spending areas you need to re-evaluate? A certain part of your income needs to go into an emergency fund. That means if you go through a major unexpected crisis in your life – like a medical emergency or a job loss – you’ll have money to cover the bills. As a rule of thumb, your emergency fund should contain at least six months of your living expenses. The emergency fund is your cash cushion; Do not touch it for any reason other than an emergency. You may have savings tucked away in your bank account. But savings alone cannot give you the financial independence you seek. Investments can. Invest in stocks, bonds, and other investments. They may be riskier than keeping money in your savings, but they give a better chance for your money to grow over time. Note: The sooner you invest your money, the more you will end up with over time. People who are wealthy today have had made wise financial decisions in the past. You too can define your financial independent future starting now. Shiv Nanda is a financial analyst who currently lives in Bangalore (refusing to acknowledge the name change) and works with MoneyTap, India’s first app-based credit-line. Shiv is a true finance geek, and his friends love that. They always rely on him for advice on their investment choices, budgeting skills, and personal financial matters and when they want to get a loan. He has made it his life’s mission to help and educate people on various financial topics, so email him your questions at shiv@moneytap.com. Distasteful financial decision can haunt you for life, so know about crucial financial mistakes that you must avoid in life. Previous story What is Project Financing and Its Different Sources?